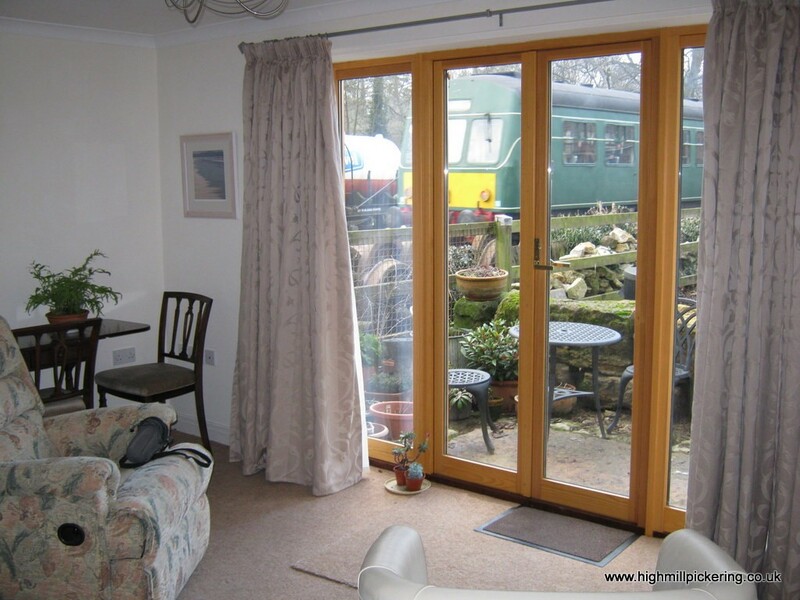 Would you enjoy watching steam trains from the comfort of your armchair? 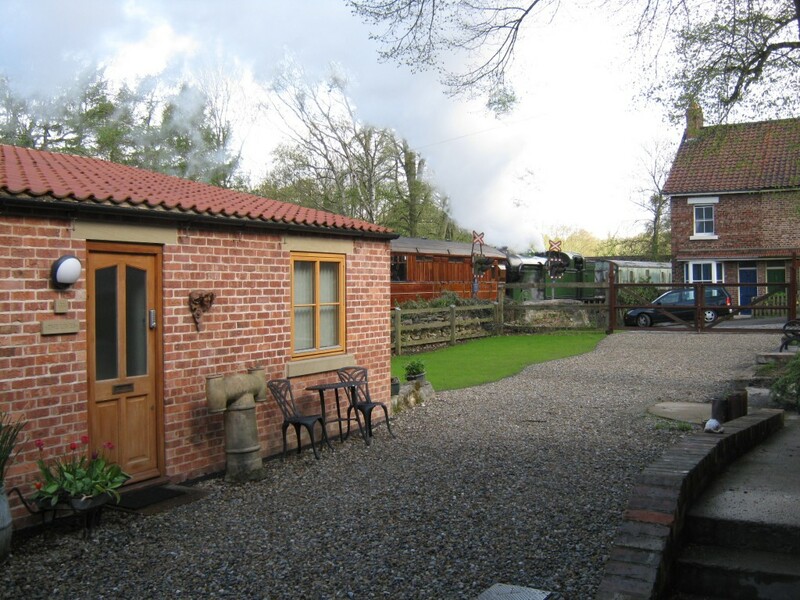 The cosy Limes Cottage and patio area, right beside the heritage North Yorkshire Moors Railway, overlook High Mill level crossing. 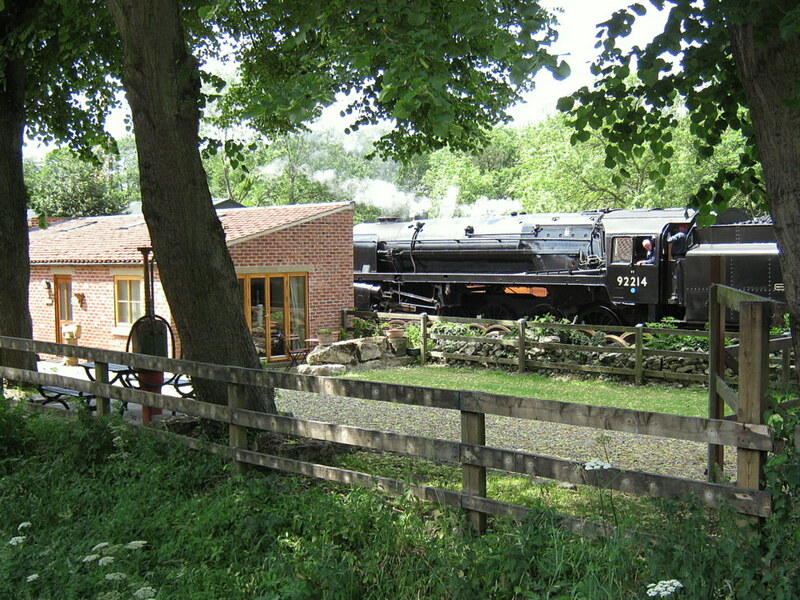 Both High Mill House and The Limes have superb railway views. 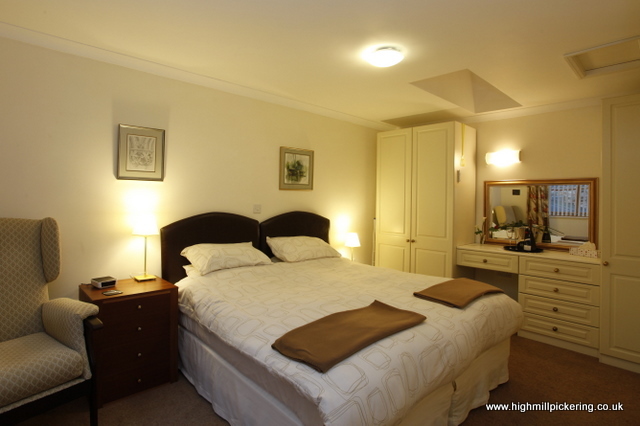 The 4-star one bedroom Limes cottage was built in 2007 on the site of the old mill stables. 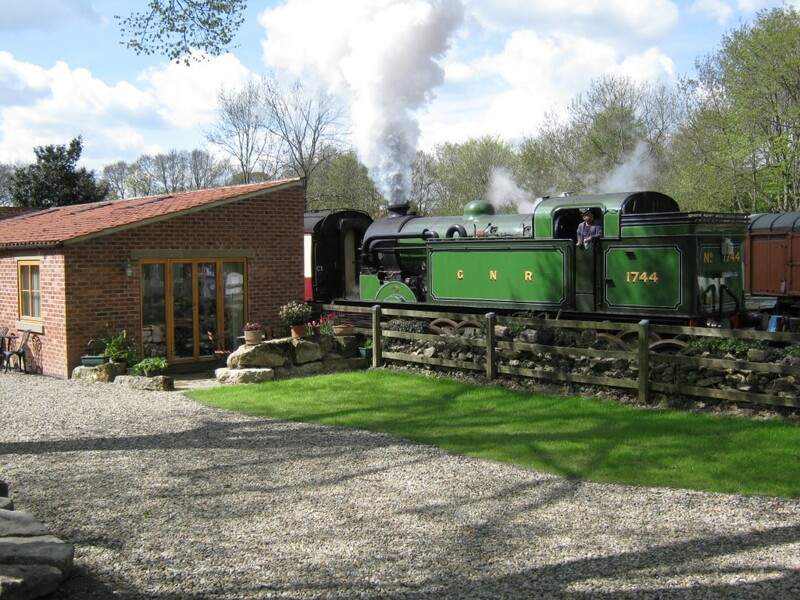 It sleeps 2 and is ideal for a special celebration, romantic getaway, or just the average railway enthusiast. 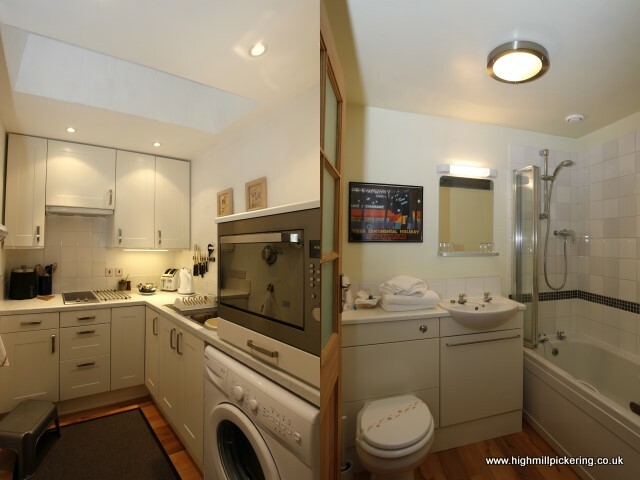 All on one level with underfloor heating and constant hot water on demand. Twin beds that convert to a double. Total control of heating and hot water. No extra charges. On-site parking. Safe bike storage. Short breaks available all year, 3 nights minimum. The lovely historic market town of Pickering is an easy 3 min walk, with a wealth of excellent local shops, pubs and cafes. Yorkshire’s fantastic array of tourist attractions, spectacular North York Moors and coast are within easy reach.